Moving to a new home is never easy. You literally pick up your life and haul it someplace new. Sounds like a pain, right? Well, it doesn’t have to be. One of the smallest things that you can do to reduce a huge amount of stress involves writing up a detailed checklist of tasks that have to get done before you actually drive off to your new destination. 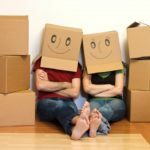 Relocating isn’t simply a matter of picking up and leaving. It can be a very complex process, and it’s all too common to forget about doing something. Add these items to your to-do list if you don’t want to be haunted by a costly mistake. Furniture, appliances, and other large objects may be impossible to transport using your personal vehicle. Consider hiring a local moving company to get your favorite mattress, dining set, and antique dresser nicely situated in the new abode. Movers often help with packing, loading, transport, and unloading so that you don’t have to do the heavy lifting. Remember to get your utilities disconnected when you leave the current house for good. You don’t want to be stuck with paying for some family’s heating during the coldest winter months. If you have the option to stick with your current providers, inform those companies with the new address and dates for reconnecting. It’s unrealistic to expect that every last material thing in the house is going to make it onto the truck. When you must leave items of monetary or sentimental value behind, rent out a storage locker to keep them safe until you return. If your move requires travelling a great distance, your car should be prepared for the long journey. That means taking it to the auto shop to get checked out. Bad brakes, worn tires, old engine oil, and any other obvious safety concerns have to be addressed before you take to the road. Nobody said moving was cheap. Spending several thousand dollars is the norm for a serious move. Everything from gas money to hiring movers is going to cost you, so start saving months ahead of time to ensure that you can afford to move according to schedule. Picking up your life and taking it somewhere completely foreign can be a bittersweet experience. But your move doesn’t have to end in tragedy. Take time to compile an extensive checklist of things to do for a seamless transition.